If there’s one thing writers do with as much (if not more!) enthusiasm as actual writing, it’s seeking advice on writing. The internet positively teems with the stuff. 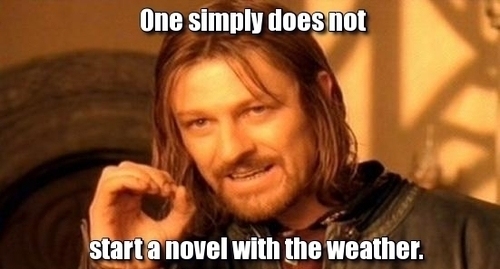 Plus anyone with even the smallest portion of a novel either on their computer or in their soul is guaranteed to own at least one writing how-to book. But how much this boundless writing advice is of practical use? At a recent meetup of the writing group I lead, this was the discussion topic du jour: writing advice – the good, the bad, and the ugly. Everyone was to come prepared to share the best piece(s) of writing advice they’d ever heard/read/received, and the worst piece(s). Why I love it: Because I once tried to do everything Carr describes, and failed miserably! Secrets, I’ve learned, have a way of making plots terribly contrived, for the necessity of keeping the reader in the dark means keeping every other character oblivious as well. And yet, in real life, most people with secrets have at least one confidante (not to mention they burn up tons of mental energy brooding over their secret shame, which tends not to go unnoticed indefinitely). The better way is to give the information to the reader, be it through another character being told or through exposition, and creating tension through the reader’s curiosity over what will happen when everyone else finds out. Why I love it: Because my first (incomplete, shelved) novel was more than 900 manuscript pages. Enough said. Why I love it: Because the reason my first novel is, indeed, shelved (not to mention 900 manuscript pages) is because It was waaaay too subplot- and allegory-heavy. Too much emphasis on what every element stood for in the real world and not enough attention to how it all fit together in the story as a whole. The plot went everywhere, and as a result went nowhere meaningful. Also, because I reaaally want to take another crack at this story someday. You’ll never pull that off. Why I love it: Because, like yoga, meditation, martial arts, or prayer, if you don’t build your daily life around your writing, your schedule will never accommodate it. Why I hate it: Because I write what I want to know, or to find out what I know. Because I write to escape my dull-as-dishwater life, not reproduce it. Just sayin’. Question: What are your most loved and most hated pieces of writing advice? This entry was posted in Writing, Writing life and tagged How to write, Ideas, Imagination, Inspiration, Novel, Novel writing, Writing, Writing inspiration. Bookmark the permalink. I agree with the least favorite. We don’t live in the stone age; if we don’t know something there’s always research. Very helpful! Thanks for posting. 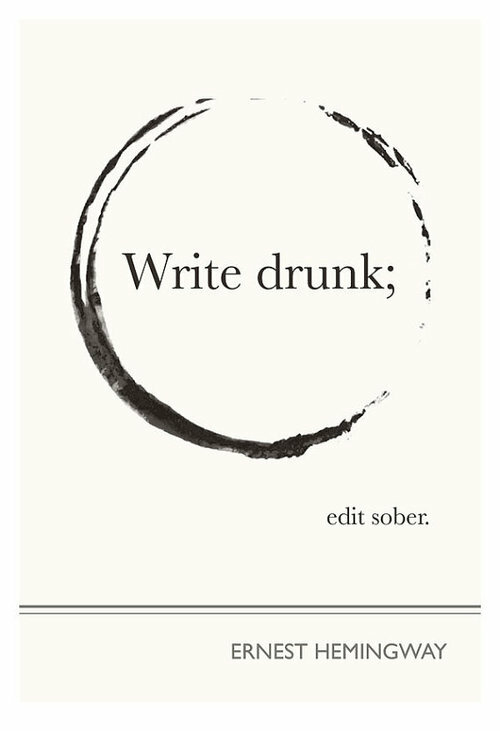 My least favorite advice is anything that has been ignored by successful writiers. But then, taking chances and following one’s own advice seems to be how successful writers become successful in the first place. That’s just it. In half the Steven Kings I ever read, nothing happens for at least a hundred pages. The reader is just chilling with the characters and getting to know them. Stephanie Meyer is a walking “don’t do this” list, but, last I heard, she is making her car payments on time. I think big time writers just do what feels natural. The rest of us anxiety ourselves into a corner. It’s not our fault, it’s the Man trying to keep us down. Rise up, fellow writers. RISE UP, I say! Agree with what Eric & Janna said. Another walking “don’t do this” list is the author of the 50 Shades Trilogy. And to boot , she has horrid basic writing skills. i.e. repetitive use of the same words, and phrases. I had to read the first book to see what all of the fuss was about. By about page 35, when she had said “she bit her lower lip, her breathing hitched, and she tucked her hair behind her ear” about 17 times each, I was wondering….did this woman not have an editor? And, she definitely is not having trouble making her car payments either! I think that given the ease of conducting quality research these days, thanks both to the internet and the general connectedness of the modern world, anyone can write credibly about any subject so long as they’re willing to give it the time and effort it deserves. This is a great time to be a writer! Write what you know vs. Research? Research in our day allows us to fill in the blanks and become seemingly expert at describing anything, but if you have never known or lived it in some fashion, you can never ‘bring across’ the emotions, viewpoints, etc. Am not contesting or disagreeing with your comment, just feel that a little knowledge couldn’t hurt. Think of a romance novel where the writer had never loved? I agree that a little knowledge couldn’t hurt, but it doesn’t necessarily have to be one’s own knowledge – not anymore. With the world now so connected, it’s much easier for a writer to find a real person who has experienced the situation and to “research” him/her. If lucky, that person would also be willing to read the first draft and point out areas for improvement. Of course, the average writer wouldn’t go to such effort unless s/he was really interested in the unknown topic. Which, to me, suggests s/he already has a bit of emotional insight into it, and that s/he will be able to draw an emotional parallel to something s/he has experienced as a good starting point.